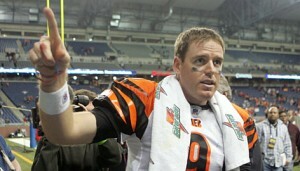 Bengals.com reports that Bengals QB Carson Palmer is fine with bringing in T.O. and has exchanged text messages with the top WR on the market, Tampa’s Antonio Bryant. While Palmer tries to build a rapport with Bryant, his agent indicates he has no visit to Cincinnati lined up yet, but has others on the horizon. 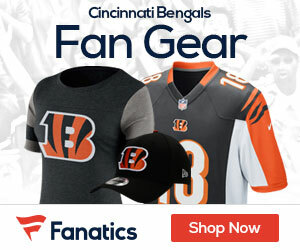 Lamont Smith told Bengals.com that Antonio, “has some interest in Cincinnati,” but whether the team can get at him anytime soon remains to be seen. I’d expect that Bryant is the team’s #1 target at this point, with T.O. being their fall-back plan. Getting an established veteran to line-up opposite Ochocinco has to be the their primary objective during the free agency cycle. The draft is deep in tight ends, defensive ends, and safeties (the team’s other primary needs), but generally considered weak at WR. Signing T.O. makes sense. It allows the team to have an established player line up and draw coverage away from Chad, shouldn’t cost a fortune, and will make Ochocinco a happy camper, which unfortunately has to be a consideration as long as he’s on the roster. Now that the franchise has given his stamp of approval, they might as well pull the trigger.